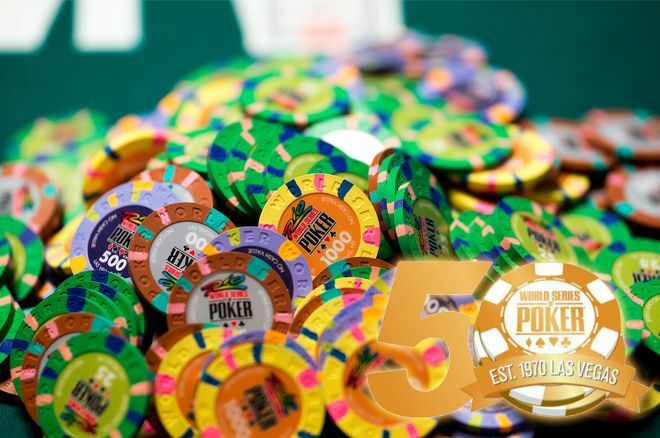 Late December last year, Caesars Interactive Entertainment announced the dates for some of the flagship event for the 50th Annual World Series of Poker (WSOP). Now, dates for many more popular events, including 20 events priced at buy-ins of $10,000 or higher have been released for the WSOP 2019. Annual signature No-Limit Hold’em events such as the Casino Employees, Ladies, and Super Seniors have finalized dates, as do popular events like the Double Stack, Marathon, Little One for One Drop, and The Closer. In addition to an array of affordable events for the more casual poker player, the 2019 schedule will once again offer the most popular variants in poker at buy-ins of $10,000 and up to attract competition among the best players across all the games. Among these offerings will be the WSOP's first-ever Short Deck No-Limit Hold'em, the popular new 36-card variant that is played with the deuces through fives removed. The $10,000 buy-in Short Deck event will last four days and kick off on Sunday, June 2 at a special time of 6 p.m.
Another schedule highlight in celebration of the WSOP's 50th anniversary is a $50,000 buy-in No-Limit Hold'em tournament where players start with 300,000 chips and play to one-hour levels. This high roller is slated as a four-day event that begins on Friday, May 31 at 3 p.m. with registration open until the start of Day 2. One of the most anxiously-awaited events of the year, the $10,000 WSOP Main Event, is scheduled to run from July 3-16, each day with a noon start time. Flight A kicks off on Wednesday, July 3 with Flights B and C running on July 4 and July 5, respectively. Survivors of the first two flights will play Day 2AB on Saturday, July 6 while Flight C survivors will play Day 2C on Sunday, July 7. All fields combine for Day 3 on Monday, July 8 with play expected to reach the money before day's end. The Main Event remains a freeze-out format with no reentries allowed, but some slight changes are in order for the 2019 version. Players will receive 60,000 chips rather than the customary 50,000, and play with the Big Blind Ante structure. Also new this year, players can buy into the Main Event up until the start of play on Day 2, meaning on July 6 or 7 at noon. A new addition to the schedule is the $1,000 buy-in Mini Main Event. Taking place just two days before the start of the $10,000 buy-in actual Main Event, the Mini Main Event takes place Monday, July 1 and Tuesday, July 2. Similar to its bigger namesake counter-part, the Mini Main Event will see players start with 60,000 in tournament chips and features the same blind structure but now with 30- instead of 120-minute levels. The popular Colossus event is back, with starting days on Wednesday, June 26 and Thursday, June 27. The Colossus will be the lowest-priced gold bracelet event on the 2019 schedule, with a $400 buy-in - down $165 compared to last year's $565 buy-in. It comes with 40,000 in starting chips and will play 40-minute levels throughout. On June 28 the survivors see the field combined for Day 2 with the final table scheduled for Saturday, June 29. The Super Turbo Bounty events are one-day scheduled events, the only live way to earn a bracelet in a day at the WSOP. In the $1,000 version, each player is a $300 bounty, while in the $1,500 version, each player is a $500 bounty. "Things are starting to come together on the rest of the 2019 WSOP playing schedule," said WSOP Vice President Jack Effel in a press release sent to PokerNews. "Being this is our 50th running, we are doing everything we can to make this year’s iteration bigger, better and more valuable for players." "Being this is our 50th running, we are doing everything we can to make this year’s iteration bigger, better and more valuable for players." Individual event online pre-registration won't open until March/April after all events have been determined and approved by regulators. WSOP.com’s real-money online poker offerings in New Jersey and Nevada will be the exclusive online home for players in these states to win seats into WSOP events, including the Main Event, as well as to participate in the exclusive online WSOP official gold bracelet events. 888poker remains the WSOP's international online poker partner in most jurisdictions, with several satellite qualifications planned to award seats to the WSOP in Las Vegas. The 2019 WSOP runs May 28 to July 16, 2019, once again at the Rio All-Suite Hotel & Casino in Las Vegas. PokerNews will be the WSOP's Live Reporting partner covering all bracelet events with live updates from the tournament floor. 2016 WSOP Schedule is Out: Eight New Events, More Places Paid, Earlier Start Times!